Stress is an imposed force. Strain is the deformation that does the damage. 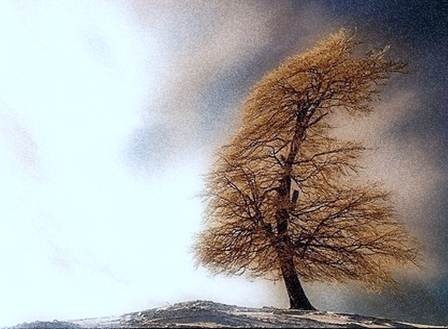 Think of a supple young tree.ï¿½ It can bend and move in the strongest winds, without damage.ï¿½ It is resilient. In a workplace with more pressures to perform, shared among fewer staff, stress can only increase.ï¿½ One strategy to deal with this is to build your personal resilience, and a powerful technique is to learn simple five-minute workplace meditation. This is the simplest of routines that requires no training ï¿½ just five minutes of your time and a little practice.ï¿½ It will get easier the more you do it.ï¿½ It is not designed to take you into a deep meditation, but simply to relax and calm you quickly; just enough to be more resourceful in the face of a demanding day. Start with your face, then your neck, then your shoulders.ï¿½ Notice any tension, then gently relax the muscles.ï¿½ Mentally repeat your anchor word as you do this.ï¿½ Continue down your body to your chest, arms, tummy, thighs, legs, ankles and toes. Fell your muscles like warm butter, gently softening and melting.ï¿½ Imagine your feet warming, melting and spreading out.ï¿½ As you notice each part of your body melting, mentally repeat your anchor word.ï¿½ Work your way up your body from your feet to your knees, your hips, tummy, chest, shoulders, neck and head.ï¿½ If you notice a lot of tension: let it go. Then open your eyes.ï¿½ Yawn.ï¿½ Take three deep breaths.ï¿½ Blink a few times.ï¿½ Then slowly get up and move around.ï¿½ Notice how much sharper your senses seem.